The Royal Society: Still Embarrassing Science | Watts Up With That? Moreover, what is the “strong evidence” referred to in the preceding quote that allows the RS to claim that warming has been “caused largely by human activity”? This “strong evidence” comes down to the RS’s acceptance of the methodology underlying the IPCC’s claim of attribution (see paragraphs 37 to 39). But as noted in another WUWT post, this is an “argument from ignorance”— certainly not what one would expect from as august a scientific body as the Royal Society. IPCC models have not been validated using out-of-sample data under conditions of high greenhouse gas concentrations. It is insufficient for a climate model to accurately reproduce the spatial and temporal pattern for one climatic variable; it should be able to do so for the ensemble of variables that have a significant effect on impacts. This includes not just temperature but, perhaps more importantly, precipitation. But little confidence can be placed in the IPCC model results to simultaneously reproduce results for both temperature and precipitation even when “in sample” data are used, let alone when out-of sample” data are utilized. “Climate model simulation of precipitation has improved over time but is still problematic. Correlation between models and observations is 50 to 60% for seasonal means on scales of a few hundred kilometers.” (CCSP 2008:3). In summary, modern AOGCMs generally simulate continental and larger-scale mean surface temperature and precipitation with considerable accuracy, but the models often are not reliable for smaller regions, particularly for precipitation.” (CCSP 2008: 52). “Model global temperature projections made over the last two decades have also been in overall agreement with subsequent observations over that period (Chapter 1). “Nevertheless, models still show significant errors. Although these are generally greater at smaller scales, important large scale problems also remain. For example, deficiencies remain in the simulation of tropical precipitation, the El Niño-Southern Oscillation and the Madden-Julian Oscillation (an observed variation in tropical winds and rainfall with a time scale of 30 to 90 days).” (AR4WG1: 601; emphasis added). October 1, 2010 in Politics, Science. ← Knot in the ribbon at the edge of the solar system "unties"
I don’t see how anybody can use the output from climate models as “evidence”. If I run my climate model with the growth in carbon dioxide and the huge positive feedback in water vapour used by the ipcc, my model forecasts a rise in temperature of 3 degrees centigrade over the next century. However, if I use the current growth in carbon dioxide which seems very steady at about 2 parts per million per year and assume a modest negative feedback in water vapour, my model forecasts a fall in temperature of 0.1 degrees in the next century. All this shows is that the output from climate models is interesting, but not particularly useful. I think it is absurd to base policy on climate models. The man on the street may not appreciate the distinction between a projection and a prediction or forecast. A projection would seem to imply a prediction, and several projections based on different assumptions would seem to imply a range of possibilities. To be useful a prediction should be more accurate than no prediction or an assumption of no change. How useful depends on how much more accurate. Of course a prediction can be less accurate than an assumption of no change. However, actions based on a prediction may lessen it’s accuracy. I’m genuinley worried now about the state of science here in the UK. This doesn’t encourage me much. I think we need to understand the wider political problems of the Royal Society and indeed, science in general. Science enjoyed a period of huge success after WWII, being able to claim it underlay a whole range of technological developments from rockets to lasers, nuclear to heart surgery to CDs and the internet. The 20th century saw a remarkable transformation as technology developed apace, so much so that textbooks from the 1980s bore little resemblance to those from the 1950s and were like alien spaceships to any from the 1920s. In contrast, science hasn’t changed significantly in the last 30 years. With a few modifications, students are still being taught very much the same science today as they were in the 1980s. In addition, the push for “science” has gone hand in hand with the demolition of manufacturing industry in both the US and UK, to such an extent that there is now a huge deficit of indigenous industry wanting scientists and scientific developments. So, the Royal Society is having extreme problems answering the simple question: “what is the point of scientific funding”. It isn’t having the same bang-for-buck as it once did in terms of technology in the shops resulting directly from research being fed to universities. It isn’t underpinning industrial success in the West as it did pre and post WWII. With some notable exceptions, science is becoming redundant as Western economies move their economies to other areas like debt-financed spending and banking. So, it should not have been surprising that scientists jumped for joy – they finally could justify their place in society – when “global warming” came along prophesying the end of the world unless we all listened again to what the scientists were telling us. So, the ramifications of this “pi radian turn” by the RS is huge. They are stuck between humiliation and decimation. They can’t admit the science is wrong, neither can they admit that all the funding they’ve been channelling into “research” really should have been spend engineering an adequate surface station network: they can’t admit that what is needed is proper equipment, proper project management, and a simple spreadsheet – rather than research academics endlessly pouring over useless data. On the other hand, they know the temperature data isn’t increasing as they need, and they know there is a fair chance they will all look like right Charlies in few years if the temperature doesn’t start to sky-rocket. Either way, science stands to loose its place in western society. It is threatened with being downgraded to a subsidiary role loosing the type of role it gained during the global warming days when it was at the heart of government formulating government policy. It would be interesting to know if the protestations of groups like the royal society have been so heavily influenced by political pressure before, or whether this is a new phenomenon. I used to assume nobel laureates and the like were people who had gained the utmost respect of their professions, I now suspect they are the people most willing to make the case the political classes wish to be made. A different proposition altogethor. The former demands respect, the latter need tuning out of the conversation as quickly as possible. No mention of emissions which is a breath of fresh air, pardon the pun, and still leaves debate open on urbanisation and defforestation. If the ‘largely’ was replaced by partly I would be quite happy with that statement. RS sees the big picture. RS fails to break their paradigms. Not the correct thing to do yet. A few more winters will clear their vision. I would like to request the RS provide a more detailed version of this document which includes the evidence that they refer to. I think that would be a very useful document. One academy at a time. Fortunately you did not also mention the Russian Academy of Sciences, the Polish Academy, the Chinese Academy, the Japanese Academy…because life is too short. If the Royal Society is in the firing line here, that’s because they’ve stuck their academic necks out the furthest and made the loudest noise. Erratum: Tim did mention the Russian Academy of Sciences, but natch, they thunderously disagree with AGW. I don’t believe there is a case for stating the models provide qualitative evidence never mind quantitative. There must still be a lot of people within the society that are angry or disappointed at this. To Tim Williams is that another consensus? If the science is so settled why is the raw data, methodology and programs from publicly funded research not freely and fully available for all to see its unequivocal conclusions? Regrettably, Tim Williams ‘ comment is spot on. The organizations that represent Science have shown a pervasive lack of spine. They yield to whatever the politically correct story of the day happens to be, unsurprising as they are primarily lobbying bodies. It is therefore incumbent on the individual scientist to maintain the integrity of his scientific work, an increasingly lonely and difficult task. How can a leading scientific establishment think that climate models are “evidence”? Doesn’t the Royal Society know what “evidence” is? For that matter as Tim Williams in Comment 2 tells us, it is not alone. A great part of the scientific establishment in the rest of the world has also become politicised to the point of scientific illiteracy. I posted the following on another thread of WUWT. I think it sensible to copy it to here but to add the link which Bill Illis kindly provided. The dots on the graph are all over the place. Well, I’d say it represents something of a concensus, to have every national academy of science in the world, (along with most governments) supporting the IPCC assessment. You obviously don’t. Can you name one national science body that has maintained a contrarian opinion? The work going to China is based mostly on the tax structure, as well as the cost of labor. If the corporate taxes in the US were more in line with the average or even below the average, then more industry would stay home. With more industry and lower taxes, the revenue would increase, not decrease. Of course, lowering the cost of labor at home means doing something serious about the unions, seriously. So after stating, ““[T]he impacts of climate change … are not considered here.” how exactly do they justify making the statement, ““However, the potential impacts of climate change are sufficiently serious that important decisions will need to be made”, don’t you have to consider the impacts to make a statement about their relative seriousness? The scientific establishments support peer reviewed science and advise governments accordingly. All they can do is assess the published findings and draw conclusions which reflect the certainties and uncertainties. They do not question the quality of the science, which has after all, been peer reviewed. There has been much political advocacy, exaggeration and alarmist hype and most of the scientific establishments and governments have believed it, as illustrated by the first RS report. Climategate, however, has taught the public to be wary of accepting the science at face value and the blogosphere has become the new forum for publication, review and debate. A small number of researchers have modelled their assumptions and produced projections that do not agree with reality. However, the subject now has global momentum, guaranteed funding, huge financial costs for the masses, taxation opportunities for governments and huge profits for the few. The establishment has so much inertia that enlightenment is a very slow process. It may take years for nature to have the final say and the establishment will take infinitely longer. OK, I need to more clearly see what a climate computer model is. I would like to see a simplified schematic of one of climate computer models that is considered by “accepted” science as a benchmark for climate computer models. Does anyone know if there exists simplified schematics of one of the most beloved of the climate computer models? I would greatly appreciate some help locating one. Or is an FOI request needed for me, a US taxpayer, to get the info? Is the situation regarding getting info on climate computer models like the situation invoving the difficulties of getting info on the well-known cases of hidden “accepted” science (that has been paid for by public money)? Mike Haseler and Richard Courtney have got to the heart of the problem. I suggest a thorough read of what they have to say and go out and spread the word. Call these charlatans in the RS and other “climate bodies” to account. Do a little digging here. See if that Helps. It may not be what you want but references should get you there. The glossary alone shows this is propaganda and PR not science. A glossary usually is at the end and alphabetical. This is not a climate concept to be defined. It is unit of physics. Why is this first item? The writers want to claim to be normal scientists. The conclusion of the report is stated at the beginning, carbon dioxide is the problem. The sources of carbon listed in opposite order to their size. Sign of doubt here, ‘Organic carbon’ is an admission that carbon is important as it is the basis of life. They are not the same. The atmosphere composition and the Earth’s surface cannot change the energy balance. Wm-2 is added again to reinforce the normal science idea. But we have already learnt that climate change is either natural or man-made. > OK, I need to more clearly see what a climate computer model is. I think most everyone agrees that “green-house gases”, CO2 among others, exert a positive RF, because they tend to trap sunshine as IR. But the climate sensitivity may be zero or negative under certain conditions, so that’s why there’s a huge fuss over TempChange. Anyway, models tend to be useless (as already pointed out) for providing ‘evidence’ because you can generally set the parameters to make it do anything you want. The real evidence must be some record of nature (like temperatures) that confirm what the model is trying to ‘predict’. Correction: predictions are worse than useless if they are not consistently accurate. The IPCC’s completely wrong predictions “projections” are nothing but climate alarmist propaganda intended to further the goals of the entirely corrupt, devious and un-elected UN that appoints them. The IPCC’s “projections” for a 1.5 – 6°C warming from a doubling of a [still very minuscule] trace gas are not only preposterous, they are completely wrong. How do we know? Because the planet itself falsifies the IPCC’s predictions projections. Despite giving themselves a preposterously wide range of outcomes, the IPCC has completely missed the mark. There has been only a fraction of a degree warming following a 40% [almost entirely natural] increase in CO2, and there is ZERO empirical evidence that the current warming cycle is anything but a function of natural variability. That natural warming has happened repeatedly in the past – when CO2 levels remained unchanged at around 280 ppmv for thousands of years. The IPCC’s predictions projections are nothing but scientifically baseless propaganda, designed to establish a lucrative “carbon” trading requirement to be overseen and administered by the corrupt UN itself. In an honest world the 1.5 – 6°C predictions projection would be seen to be so drastically wrong that all such IPCC scare tactics would be arbitrarily dismissed as the ravings of a group of cranks, or worse, the scheming of scam artists. Their ridiculously inflated predictions projections are based on the Texas Sharpshooter Fallacy: shoot holes in a barn door, then draw a circle around them. Bullseye! Any [completely unproven] effect of CO2 on the 0.7° [claimed] warming constitutes only a tiny fraction of that 0.7° – if that. The IPCC should honestly admit that its putative “science” has been falsified by the scientific method, and immediately cease its misguided efforts to control harmless CO2 emissions. But will they do the right thing, and admit to the world that their predictions projections have always been wildly inaccurate? No, they will not. Because their goal is not honest science, but control of the world’s resources, and the planned taxation of the air we breathe. In a just world the UN/IPCC would be disbanded as a waste of public funds and as a source of misinformation, and its corrupt scientists would be universally reviled as the self-serving charlatans they are. But we live in a dishonest, dangerous world, where thieves disguised as do-gooders scheme, with the help of their useful fools, to replace freedom with a suffocating, unelected bureaucracy. The IPCC and its mindless supporters should be on “WANTED” posters everywhere. They are no different from embezzlers covetously planning to confiscate citizens’ honestly earned wealth, based on the lie that a harmless and beneficial trace gas must be taxed and regulated. By them, of course. When you see hair-splitting rationalizations that predictions are only “projections,” always keep motive in mind. No, Tim, “China” and “India” do not agree with CO2CAGW ‘tenets’. In fact they are even affirmatively opposing these quasi-religious tenets by in effect generating as much fossil fuel CO2 as possible -via their massive coal fired electricity plant construction projects. Snap out of it, Tim! Hi Tim Williams when governments pay out money for a desired result low and behold those people become a consensus. Mad cow disease, Swine flu , bird flu, SARS, weapons of mass destruction. AGW(climate change, climate disruption, soon to be called just climate.) Until so called climate scientists can give the null hypothesis it really is voodoo science. Ah, the good old eugenics argument…. ‘Hence, the RS has no scientific (or other basis) for this claim. ‘ (The opening sentence one). It may be that the RS had been “hijacked” by the likes of Lord Oxburgh (chairman of the Carbon Capture and Storage Association and the wind energy company Falck Renewables) for monetary gain, and that fellow members have woken up to the fact that the once noble institution has now been turned into a laughing stock. 43 members have now gone a small way towards re-establishing the reputation of the society. Let us hope that rehabilitation continues. Actually, the Chinese Government is “embracing” the concept of AGW because they stand to benefit greatly when the developed world weakens their economies with burdensome emissions controls, hugely expensive carbon capture systems, and ridiculous carbon trading schemes. Also, China will financially benefit from selling their carbon credits. So for China, it is a do as I say, not as I do approach. I should also point out that the Chinese Government blocks access to WUWT, CLimateAudit and any other website that challenges the notion of CO2 induced global warming, errr, climate change, opps, I mean climate disruption. There is ready access to ALL of the pro AGW websites. I know because I travel there often. P has never been disproven therefore P is/(must be) true. P has never been proven therefore P is/(must be) false. This is why when attribution is impossible, or it would stupid and dangerous to wait for direct attribution to take place over our heads, the best practices are employed to reach consensus conclusions. Let’s take a look at what the IPCC actually says about attribution for once. Note all the talk about uncertainty and stuff in that chapter. Only if I have this information can I even begin to ‘formulate appropriate responses’. I have to say I am left wondering whether this is ‘climate science of the highest quality’ or just another example of scientists as advocates. I would say most of this was advances in technology rather than science. As you say, science underlay the technological achievements, so perhaps science got the glory for that, but it was glory on exhausted pre-war scientific capital, for I would say that science itself has gone at a snail’s pace since the late 1920s. We often don’t see it that way because (a) we’re living through it (rather than being viewed from a historical perspective) and (b) the advances in technology that we see in our lifetime gives the appearance of scientific advance, which it actually is not. Most of it is incremental improvements in application of science that has been known before. Commercial and military interests will always push that along. Historians and philosophers of science have long wondered why advances in science itself have slowed down dramatically in the last 70 or 80 years. Some scientists arrogantly think that most of what can be discovered has been, or that all the low hanging fruit has been picked leaving the more difficult science. I think, rather, that something has gone very wrong with science itself. It is sowing the seeds of its own destruction. Positive feedbacks mean negentropy only found in living phenomena. Thus it’s bio-genetic. Brief question – the 43 dissenters were noted – how large is the consenting fellowship? in land use, including agriculture and deforestation.’ but this issue does not appear to be addressed subsequently in the Paper. The Paper concentrates almost totally on CO2. Atmospheric CO2 levels continued to climb throughout this period. Why was this not reflected in temperature increases throughout the period 1910 to 2000. This issue is not addressed but one logical conclusion is that there are natural effects that have a much greater than than those of CO2. ALSO, Anthony, it is ironic that you call the Royal Society ‘august’. The word ‘august’ comes from ‘augere’, to increase, enlarge or grow, and, these people are impeding growth. ” The Royal Society has established a science policy centre to strengthen the independent voice of science in UK, European and international policy. We want to champion the contribution that science and innovation can made (sic) to economic prosperity, quality of life and environmental sustainability, and we offer the Royal Society as a hub for debate about science, society and public policy. What we are:- The Royal Society has established a science policy centre to strengthen the independent voice of science in UK, European and international policy. What we seek:- We want to champion the contribution that science and innovation can made (sic) to economic prosperity, quality of life and environmental sustainability. 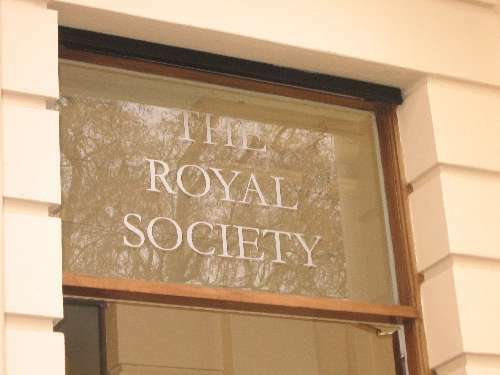 How we work:- …the Royal Society as a hub for debate about science, society and public policy. What we do:- …from targeted policy workshops to global governance frameworks. 2. Trojan horse (recipient, not builder). Can anyone enlighten me further? It’s like this; the captain of the ship suddenly realizes he’s gone the wrong way. First of all; he cannot literally just turn the ship around. Even if he did it would take a monumental amount of space and time; the ship is large and it’s momentum enormous. Further; if the Captain of the ship orders an about face, he’s just told everyone aboard, ‘ I’m a moron who’s gone the wrong way’. That creates a rather difficult command situation. So, you adjust course. Veer a bit off to the right here, see. Then you wait for everyone to become acclimated to the new direction, review your charts, etc. Then you announce another starboard tack, and so forth. Eventually the navigator will wander over to the helm and ask you “gone a bit off in the wrong direction then, eh?” To which the Captain replies; “Not at all, we’ve simply ‘ad our mission changed is all, you see. Going to make a port call at ‘er Magesty’s Royal Colonial Treacle mine, pick up a load of . . um, Treacle . . and, er yeah, we uh . . . we went the wrong way.” To which the navigator dutifully replies; “Aye Aye Cap’m. Setting a course for HRM’s treacle mine, then”. That way, the leaders all understand each other, but the guy down in the hold shoveling the coal doesn’t realize what a bunch of lout’s he’s working for. So, although this may appear a bit odd to a scientist, captains of ships, captains of industry and captains of state all understand full well what this is and what is being said here. Now the question is; should the Royal Society be run by captains or by scientists. It should be obvious to the stewards and deckhands that their captain is an incompetent coal shoveler, but should he appear incompetent as a captain, the crew will mutiny and the ship may founder. I doubt the scientists will raise much stink. The good ones aren’t too concerned about the direction of the ship anyway. It’s not their job. They just shovel the coal, do their job, follow the evidence where it leads them. Leave it to the politico’s to figure out how to turn the ship around without mutiny and how to keep her from running aground. That’s their job. See, all very simple really. Government funded science = success measure by deterministic solutions to problems (e.g. Defence – working weapon) or support for a political agenda (Climate – prove CAGW so we can have a carbon/energy tax. Pure research is no longer seen as a useful pursuit except for a few projects – after all ‘the science is settled’ in most fields despite glaring holes in most of our standard models. Here’s hoping that things will change and a few more ‘Einsteins’ will emerge to stand the world on its head! Have you seen the 10-10 campaign video. Apparently they are now having cold feet and are trying to withdraw the film. Their national science academies have signed up to a joint statement that endorses the IPCC assessment and urges governments to take action. I’m not aware of any representative statement from either of their national science academies that states otherwise. Whether their governments have the will to act on thier advice is entirely another matter and has nothing to do with the scientific basis of AGW. Hi Tim Williams when governments pay out money for a desired result low and behold those people become a consensus. Mad cow disease, Swine flu , bird flu, SARS, weapons of mass destruction. Strange logic. Are you trying to argue that the ‘desired result’ of the respective Governments (India, China, Russia, USA, Canada, France, Brazil, GB etc) investment in science funding, was a strongly worded joint statment from their national science academies in support of the IPCC assessment? That is what happened, shortly prior to the Copenhgagen summit. The fact that governments of these countries were unable to agree to act upon the scientific advice of their national science bodies is quite another matter. Which represents around 3% of fellows. Kind of climate turning into climaterium. Hopefully some group of concerned citizens should collect comments and ask the Royal Society to address them in an open letter? Actually, in most cases, science lags invention/engineering. Yes Tim, those 43 were “active” dissenters. Of the remaining 1527 consenters, how many were “active” consenters? In other words, how many of the “consenting” majority were fully informed and actively endorsed the RS’s position statement? Newton, Halley…. Who has invaded this honoured institution? How did they slip into this ideological bog? Don’t they feel they have a solemn duty to scientists of the institution’s illustrious past who set the standard for excellence in science? Oh it’s worse than we thought alright … The nobel prize is barely neck and neck with Crackerjack prizes – Arafat/Rabin for peace! Obama as a bribe to endorse the CO2 calumny, Annan for preciding over the Rwanda massacre, Gore, Pachauri et al for whatever we see unwinding before us. These and other institutions, universities, govt departments where science is conducted ned to be totally redone with new personnel and guidelines regarding funding, ethics, and strict adherence to application of the scientific method. Yes it ismuch worse than we thought. Kudo’s Mike, you hit the nail on the head. I can only add that the CAGW bombast has trapped western science and they don’t know how to get out of this with their dignity. They dig the hole deeper by spouting our society is anti-science and preaching un-civil behavior (Dawkins militant atheism). Well I’m not one to go for weasel wording and try to separate in meaning; “Predict” and “Project”, although I do segregate those, and I hope people realize; facetiously. The “Computer programs” or GCMs or whatever euphemism they want to use, purport to be “Models” of what the architects of those models represent to be an emulation of what the real universe; or in this case just the earth’s climate odes or will do if the conditions set down in the model runs are fullfilled. So don’t jive me that they are NOT making predictions; they absolutely are making predictions. They are saying if these conditions occur, the earth’s climate will do what this computer run says it will do. They at least have the intellectual decency to say “well we actually don’t know what some of the parameters in these models are to very high precision so we have to use some plausible range that those parameters may have, and then our models WILL predict some range of outcomes. OK it is perfectly legitimate to say of any Science Model; that purports to describe a theory of some real world phenomenon; that some of the parameters of the theory have not yet been ascertai9ned with great precision. It has always been that way; and improved experimental techniques have gradually improved our knowledge of those parameters; well for theories that have been widely accepted (eventually). The purpose of “models” of course is that they are deliberately endowed with exact mathematica relationships between variables and parameters; so that the behavior or performance OF THE MODEL can be essentially exactly predicted from mathematics. That is not the same as saying that the behavior of the real world is exactly predicted; it never can be; it is far too complex to describe so as to be able to predict the outcome of any conceivable experiment. But the future performance of “models” is quite predictable, from the very rules that describe what that model consists of. And in the normal course of scientific investigation, experimental scientists, and theoretical scientists work back and forth comparing model to reality, and then adjusting NOT THE REALITY, but the rules of the model so it better replicates what experimental science says the real world appears to be doing. So yes the climate modles run on these super computers (Playstations) do purport to predict the future, and it is disingenuous of the purveyors to say that no; they only “project”. The reality is their models are crap; which is why they don’t even vaguely project what is really happening. To present a starting assumption that CLOUDS are a POSITIVE feedback is total nonsense. After you have answered both of those questions, by saying that in ALL CASES both CLOUDS and WATER VAPOR ALWAYS decrease the amount of incoming solar spectrum electromagnetic radiation energy that reaches and is absorbed by the surface of planet Earth; then you can tackle the bonus question of how water vapor and clouds interract with the secondary and tertiary LWIR thermal radiations. And if you have to ask whether “surface of planet earth” includes both land and sea surface; you will be disqualified as too dumb to be on the program. Trying to make a case that cloud interractions with the secondary and tertiary thermal emissions; which are energy that has already been degraded by one or more capture and thermalization cycles; is capable of converting the clearly NEGATIVE feedback of cloud attenuation of solar energy, in to a net POSITIVE feedback; so that a net increase in total EARTH energy occurs accompanied by a general Temperature increase; would seem to me to be a daunting task. But you shouldn’t even attempt to address that issue, untill it becomes obvious to you, that you already lost on just the net collected solar energy. And remember that it is that net collected solar energy that mostly (70% or more) falles on the ocean and is deposited relatively deeply in that great thermnal storage mass. The secondary or tertiary LWIR emissions from the atmosphere, that fall on the sea surface have amuch harder time reaching the oceanic depths; they more likely lead to an evaporative return to the upper atmosphere; and eventual escape. If the computer simulations, predictions, projections are not for the purpose of linking what we know from previous observations to what we believe is most likely to occur in the future; then why are we even wasting time and money on such “modelling “? Well John, it seems like there is a disagreement over what is meant by “Climate Sensitivity.”. You seem to use it as a connection between a “Radiative Forcing” which presumably is in Watts per square metre, and a “TempChange” but you didn’t say what is changing in Temperature. From virtually everything I have been able to discern from the literature, “Climate Sensitivity” which I’m told, but have not been able to verify, was first defined by the late Dr Stephen Schneider as the increase in the global mean surface temperature caused by a doubling of the Atmospheric Abundance of CO2. T2 – T1 = (cs). log2(CO2,2/CO2,1) where the terminology is self evident. I’m not aware of either experimental data or Physical thoretical relationships that would validate or support such a simple relationship; although there is plenty of experimental data that refutes such a relationship; including paleo data going back 600 million years, that shows intervals of tens of millions of years where Temperature showed no response of any kind to very large changes in atmospheric CO2 abundance. There is also disagreement as to your assertion that GHG assert a Positive radiative forcing since they “tend to trap sunshine as IR”. Well count me as one who does not fit into that club. It is certainly true that at least O2, O3, and H2O tend to trap sunshine; and CO2 to a very minor extent. BUT !! to call that a positive Radiative Forcing is plainly absurd. If that sunshine is “trapped” in the atmopshere by those gases, that means it DOES NOT reach the surface; primarily the deep ocean where it would be deposited deeply as heat after being nearly 100% converted to heat (less what has biological activity). The sunlight energy that is thus lost to the surface from this atmospheric gas trapping, is also largely converted to thermal energy; at least in the lower more dense atmosphere where mean free paths between molecular collisions are much shorter than the mean lifetime of the molecular excited state caused by the sunlight trapping. The resultant secondary thermal emission from that slightly heated atmosphere, is emitted isotropically so half of it escapes towards space; and only half of it can return to the surface; so there has to be a NET LOSS of energy from sunlight that results from that trapping, and it is of the order of half the amount of the “trapped” energy. So as I said it is simply false to characterise the trapping of sunlight by atmospheric gases as POSITIVE Radiative Forcing; it MUST ALWAYS be negative. > and “Project”, although I do segregate those, and I hope people realize; facetiously. I think there is a distinction, based on time. When you ‘project’ a model back in time, comparing output with historical records, then the model ‘explains’ or ‘tests’ a hypothesis (correctly or not). Sounds funny to say ‘predict the past’ so perhaps ‘project’ is a more “temporally-neutral” way to say that. Does is really matter what they say? King Canute is reputed to have had his throne placed on the beach so he could sit and command the tide not to come in. It did, of course, and he and his throne began to get wet. Nature will do what nature will do. It looks like we are in for a prolonged cooling spell, either it will happen or it will not, no one will be consulted on the issue and no ones opinion will be considered; we will only be informed. In a couple of years, the cooling may be so blatantly obvious that there will not be enough crows, eggs or pitchforks to go around. Does anyone know where to get the previous version? I’d like to read both texts. Robert Hooke must be spinning in his grave. All these Academy of Sciences represent the politics and governance of science. Perhaps you mistook the proclamations of these societies for actual scientific proof subject to all the rigors of the scientific method. Does any of this mean taxpayers can halt their funding of wind farms?? Thanks for your info and links. Need to do some homework on climate computer models. Your view that “A projection would seem to imply a prediction” is understandable but inaccurate, as suggested by the inconsistency of this view with Indur Goklany’s quote from the noted IPCC climatologist Kevin Trenberth. The long-time IPCC expert reviewer Vincent Gray explains ( http://www.klimanotizen.de/2008.07.12_Gray_Spinning_the_Climate.pdf ) that by using the scientifically ambiguous word “projection” in place of the scientifically unambiguous word “prediction” and the scientifically ambiguous word “evaluate” in place of the scientifically unambiguous word “validate,” the IPCC creates the impression in the minds of the unwary that its climate models have been empirically validated when they have not been validated. As the IPCC uses the word “projection,” the idea referenced by this word differs from the idea referenced by the word “prediction” in lacking the variable which is called its “truth-value.” Bccause projections lack truth-values, the associated models cannot be validated. However, these models can be “evaluated” because “evaluation” does not imply “validation.” In an “evaluation,” projected global average temperatures are compared to measured ones without consideration of whether projected temperatures may be wrong. Lindzen isn’t listed as a participant. http://www.academie-sciences.fr/actualites/communiques/pdf/DebatClimat_Participants.pdf . Perhaps we should wait until then before commenting on any ‘conclusions’. In a word, YES. Claiming that models can be used for evidence of any kind is an elementary mistake. Models are useful for analytical work only. They can show you what your assumptions imply. And that is very valuable information. But there is nothing in it that can be used for prediction. By the way, loved your tv show, Bob. The term is retrodict. Prediction is for the future and retrodiction is for the past. As regards their value for the hypotheses that are used to make them, predictions and retrodictions are equal. Good hypotheses are well-confirmed in both predictions and retrodictions. October 1, 2010 at 7:23 am…. “No, Tim, ‘China’ and ‘India’ do not agree with CO2CAGW ‘tenets’. [Tim:] Their national science academies have signed up to a joint statement that endorses the IPCC assessment and urges governments to take action. Tim, 1] consensus statements, even by the administrative arms of “scientific bodies”, are simply not a component of the Scientific Method. Regardless, 2] in the case of a more properly formed scientific consensus – where scientists actually individually sign some rather specific statements, which the members of the many aforementioned “scientific bodies” did not – the net scientific consensus is in fact against specific CO2AGW claims: see, for example, the “sceptical” Oregon Petition signatory numbers as compared to analagous numbers of individual pro-CO2CAGW signatories. 4] Surely, Tim, you are aware that actions speak louder than words, that is, when and where “the rubber meets the road,” as is clear in the case of China and India’s fully IPCC-informed actions in regard to essentially producing as much fossil fuel CO2 as possible via their continuing massive construction of coal fired electricity plants – which, again, in effect specifically deny some combination of very important CO2CAGW claims. Ask yourself, especially “politically”, why would China and India want to commit their Countries to an allegedly IPCC assured suicide? 5] If the CO2CAGW claims are in fact scientifically established and believed by their primary proponent, the body of IPCC “Climate Science” and its Climate Scientists, why did the IPPC itself then act to exclude countries containing ~5 billion of the Earth’s ~6.5 billion people from having to adhere to its own alleged Kyoto Protocol “cure” to its own alleged net CO2CAGW “disease” = an apocalypic disaster? This makes no rational or scientific sense, unless the IPCC does not really believe its own “science”! In short, Tim, IPCC Climate Science is simply not real Science: it specifically avoids using the Scientific Method, which is why you and others are so confused – that is, because you have made the natural assumption that IPCC Climate Science is real Science, when it is not. And your trust is something which IPCC Climate Science has also relied upon you to grant as part of its whole Propaganda Operation! And that is all IPCC Climate Science really is. Tim, if you take an objective view of IPCC Climate Science, you will “snap out of it”, just like I did after initially assuming incorrectly that IPCC Climate Scientists would surely be doing real Science. And it’s really not all that difficult to see for yourself, that they are certainly not! How many members of the Royal Society will recall that Arrhenius, Callander, Plass, and numbers of others were in fact debunked in none other than their own Proceedings? It is incomprehensible to me that any Society member of 60 years of age or older, say, would subscribe to their present ideology at all. I am surprised that I have not heard of resignations of membership over this. Robert Austin asks “how many of the “consenting” majority were fully informed and actively endorsed the RS’s position statement?“. OK, it’s a valid question and at the heart of the situation in which large numbers of scientists can apparently be endorsing the IPCC position – it seems to me that scientists tend to accept published papers outside their personal range of expertise. But please don’t think I am getting at you if I say that I’m fed up with consensus-type thinking, we must stop counting people and just check the evidence. tonyb – thanks for posting the old RS links. The 2nd works OK but the first says “There was an error opening this document. The file is damaged and could not be repaired.”. Smokey says: (October 1, 2010 at 7:04 am) The IPCC and its mindless supporters should be on “WANTED” posters everywhere. Strong words, Smokey. They need repeating… often. Perhaps add “Dead or Alive” to underline the enormity of their crime? Andrew30 says: (October 1, 2010 at 12:25 pm) King Canute is reputed to have had his throne placed on the beach so he could sit and command the tide not to come in. No he did not, Andrew. He had it placed on the sand to show his foolish subjects he could NOT control the tide. National science academy public statements endorse the quality of work and findings of climate scientists. The distinguished reputations of the multi disciplinary scientists that these institutions represent add authority to the scientific basis of AGW whether you like it or not. Next you try to argue that 31000 signatures from a motley bunch of science graduates (few of whom are publishing climate scientists) with a covering letter from a tobacco lobbyist is more authoritative than an explicitly worded statement from a host of national science academies warning of the dangers of AGW and the need to control CO2 emissions? Fair enough. I think politically it’s perfectly understandable that China and India would opt out of carbon capping legislation. Here’s one clue why. Emissions of CO2 (tonnes per capita)..India 1.2 tonnes, China 4.6 tonnes, USA 19.1 tonnes. Here’s another GNI per capita. http://ddp-ext.worldbank.org/ext/ddpreports/ViewSharedReport?REPORT_ID=9147&REQUEST_TYPE=VIEWADVANCED GNI per capita. India $ 1235, China $ 3000, USA $ 48000. The IPCC ‘acted to exclude’ nations from the Kyoto protocol? You’ll have to show me some evidence for this accusation because I believe it to be unfounded. I’m sure you realise that the IPCC doesn’t do it’s own original research. It collates and assesses the work of climate scientists and scientists in related fields. Not only is the work in WGI peer reviewed in the first place it’s then re-reviewed and re-re reviewed by representatives of some 113 Governments. The workings of the IPCC have since been re-re-re-reviewed by the Inter academy council who have made recommendations for future procedures. Which is what the national academies and a host of scince institutions worldwide are endorsing to this day. You make meaningless claims concerning the organisations that have stated their opinions concerning anthropogenic (i.e. man-made) global warming (AGW). They amount to an assertion that “science” consists of the opinions of people and organisations who agree with you. Science says the number of people who believe something exists says nothing about the scientific truth of what they believe. More people believe in Santa Claus than believe in AGW. That is NOT an indication that Santa Claus exists in a physical reality. And the authority of the believers has no relevance, either. If it did then Galileo would have been wrong. Science is about what is demonstrable. You clearly do not understand this, so I will try to explain it to you. Science says gravity exists because, for example, if you let go of an apple it will fall towards the centre of the Earth. But if the apple set off towards space flung by the rotation of the Earth then that would show the Earth’s gravity is small. And if the apple’s travel away from the Earth showed no acceleration (i.e. change in speed and/or direction) then that would show the Earth’s gravity is too small to be discernible if it exists. Science does not say gravity exists because a number and/or a majority of scientists (or organisations claiming to represent them) say they believe in it. Science says gravity exists because its existence is demonstrated by replicable evidence. Similarly, science does not say AGW exists because a majority of scientists who are paid to investigate AGW say they are 90% sure it exists. There is no empirical evidence for AGW; n.b. none of any kind. And there is empirical evidence that refutes the existence of discernible AGW (e.g. the tropospheric ‘hot spot’ is missing). So, the science cannot say that AGW exists in reality. All that can be said is that AGW is too small to be discernible if it exists. And the number of persons and/or organisations which believe in AGW does not affect this one jot. I started researching Climate Science on the Internet in Feb. 2010 and learnt Political Science instead. …who have all seen fit to issue public statements in support of the IPCC, over the unreferenced claims of some bloke on the internet that thinks he knows better? Many of those institutions are not paid to investigate climate change but have weighed in anyway. Yeah yeah, I know numbers, qualifications, scientific pedigree count for nothing but would you concede they may actually be right about this? James Hansen? 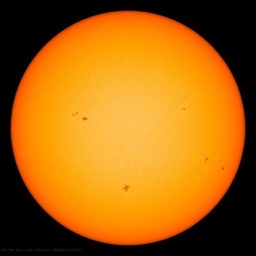 (You’re going to love this…http://www.huffingtonpost.com/david-horton/youre-no-galileo_b_355799.html). Offtopic – but people need to know. Over at DeepClimate’s blog in Open Thread #6, we were discussing the Royal Society’s statement and Andrewo asked for textbooks on climate science. Someone gave him a list of resources, all of which were alarmist. I wrote a reply which appears below after it was severely edited by DeepClimate. [DC: I’ve edited out your misleading descriptions. I responded to his charge of “misleading descriptions” as below but the comment is still awaiting moderation. You say my descriptions are misleading. If you believe so, why not leave the descriptions in and explain to readers why you believe they are misleading? Is it misleading to call Dr. Pielke an ISI highly cited climatologist? No, it is an objective fact. Is it misleading to say William Cotton is an environmentalist? The man rides a bicycle to work and recycles (his trash, not his bicycle – although I guess it is fair to say he recycles his bicycle home everyday). Is it wrong to call Dr. Spencer an award-winning scientist from NASA? Or to say he is one of the keepers of the UAH satellite temperature record? No. Both are objectively provable facts. Why censor facts? Why would you be afraid of your readers having all the facts? I don’t understand how people can expect to be persuasive when they are afraid of facts or censor facts so their readers don’t know. It only makes him look ridiculous. Here’s another comment at DeepClimate that is still awaiting moderation. The issue of Australia’s poor regional climate forecasts on seasonal timescales is not subject to interpretation. The BoM has admitted in the press they are right about half the time. Unfortunately, it is hard to find archived news stories. Perhaps this quote from the Australian Parliament report will persuade you the BoM is not pleased with their own accuracy. The quote does not spell out the fact the “peak level of performance” was never really any good, but it does tell you they are not happy with the accuracy (or the criticism they have taken for the poor forecasts). Here Dr. Wiles appears to be admitting that seasonal climate forecasts are not likely to get much better. Of course, the Met Office in the UK also has a very, very poor record of seasonal climate forecasts. The link you reference and Galileo, or Copernicus, is/was James Hansen, this is a real intelectual Jump the Shark moment by David Horton at the Huffington Post. Thank you for your reply to me. It says that, according to your logic, facts, evidence and empiricism have no value. “There is no empirical evidence for AGW; n.b. none of any kind. To prove that wrong all you have to do is to cite one, tiny piece of evidence. I and many others (including the IPCC and the RS) would be very grateful if you (or anybody else) were to present such evidence. Until you do, I and many others would be grateful if you were to shut up or to assist in ridding the world of the unfounded AGW scare. Thanks, then a ‘shut up’…nice. Snap out of it, Tim! China and India certainly have, that is, if they ever needed to. You are falling for this ploy and, again, simply persisting to assume “on authority” that the IPCC Climate Science is real Science, when it just isn’t. But you can’t be arguing, can you, that China and India are knowingly proceding to commit every freaking kind of alleged suicide just because they want or “deserve” to have a more “equal” share in the total CO2CAGW “destruction of Creation” [James Hansen] or at least a more equal share in bringing about a more equal apocalyptic fossil fuel CO2 poisoning of the World per person, compared to the developed world. Right? Or it’s not that they just want to go down partying more “equally” along with the rest of us, is it? Tim, man up! The Chinese and Indians are simply not as stupid as you want/need them to be in order to maintain your CO2CAGW stance. Nor are we “sceptics” who are only demanding at the very least what the Scientific Method itself necessarily requires, especially as it relates to “scepticism”- open access to a study’s “materials and methods” and the right to respond. It’s something which you should also demand, instead of simply repeating memes or “tenets” on authority, right? Or will you instead still choose to not snap out of it? What else would you call the fact that “underdeveloped” countries containing ~5 billion of the Earth’s ~6.5 billion people were not asked or pressured by the ipcc to participate in the Kyoto Protocols, such as the developed countries were? The underdeveloped countries even had their very own ipcc category. This was also the basis for the U.S. Senate’s rejection of the Kyoto Treaty Protocols back in 1997, by a vote of ~95 to 0: the Resolution essentially said that everyone would have to participate in the strictures as a necessary, but not sufficient, condition for the Senate to even consider passing the Treaty. Likewise, I would have thought that the place to nip the alleged CO2CAGW disaster in the bud would have been before the underdeveloped countries developed via using fossil fuel, not after. But instead it appears that the ipcc does not even believe its own “science”. Gore doesn’t either, and nor do the many CO2CAGW proponents who similarly refuse to even follow their own rules, which they obsessively and urgently want to impose upon others, as a logical result of their own claims. What else would you call the fact that “underdeveloped” countries containing ~5 billion of the Earth’s ~6.5 billion people were not asked or pressured by the ipcc to participate in the Kyoto Protocols, such as the developed countries were? Because it wasn’t the IPCC’s role. Tim Williams : “Because it wasn’t the IPCC’s role.“. … and in case you missed it, this link is a UNFCCC link (“http://unfccc…..”) and when you open the document … it’s an IPCC document. How about we stop playing games, stop referring to authority, and settle the argument the only way a scientific argument can be settled – by examining actual evidence. Tim Williams : “Thanks, then a ‘shut up’…nice.“. Fair comment, but I can understand the frustration shown. How about we get on with looking at the actual evidence. Bear in mind that when testing a hypothesis, any number of ‘white swans’ is outweighed by a single ‘black swan’. The TT hot spot (lack of) has already been put forward as evidence, and I would suggest we also look at ocean heat content increase (lack of). And I explained the reason for the request. I did NOT only write “… shut up …”. Furthermore, the link you provide is to an item that gives rise to the problem which Trenberth says “it is a travesty” that we cannot explain. Far from being evidence for AGW, it is evidence that those who promote the AGW hypothesis do not understand climate processes (and nobody else does, either). So in a thread dedicated to a statement from the Royal society the author considers to be an ’embarassment to science’, we can’t talk about how many other institutions have made similar statements, and think it’s a bit odd that such a huge proportion of the worldwide science community should all be so ’embarassing to science’? The national science academies are particularly interesting in this regard as they represent multi disciplinary science. Please excuse me, but gven the choice on the table only the ‘shutting up’ option applied (an option I’m sure many on here would like me to take). One reason I don’t believe AGW is an ‘unfounded scare’ is, partly, because around 97% of publishing climate scientists (http://news.mongabay.com/2009/0122-climate.html) most of the worlds governments (except Saudi Arabia who are a bit obscure about this), the IPCC and the all the leading nations science academies assure me that anthropogenic global warming isn’t an ‘unfounded scare’. Unless you’re doing your own original research into the climate all we can do regurgitate other peoples. I give more credence to research from respected institutions such as NASA or the EPA and articles and explainations by those publishing peer reviewed work. That’s not say that I’m closed to contrarian opinion, far from it, which is why I read this sort of stuff. But I am intrigued to hear why you [snip] believe the ‘unfounded scare’ of AGW has been so enthusiastically disseminated by national science bodies the world over. Tim Williams : Of course you can talk about how many other institutions have made similar statements, but it can’t resolve anything because it is a reference to authority. In the end, only evidence counts. Nullius in verba. And giving me a whole heap of links to plough through isn’t going to work. I do not have hours and hours of spare time, and how on earth am I to know which particular bit of each linked-to document is the bit that I am supposed to be responding to? You might as well just give me a link to the IPCC Report. If you want me to engage in any kind of discussion with you, then make the points you want to make in your own words, and back them up with links/quotes where appropriate. But having said that … It just so happens that I am away for the next three weeks and will almost certainly not be able to participate in any discussion until near the end of this month. Fishing takes precedence over even AGW. Pease read my post above at October 1, 2010 at 5:35 am and comment on my “own original research” and that of Kiehl before posting more of your misleading and offensive twadle. Sorry to be misleading. To clear up matters here’s a simple question that I’d like someone to attempt to answer, remember the thread is about a statement from the Royal Society. What possible explanation can there be for the fact that the national science academies of so many different nations have issued joint statements, (or individual statements) in support of the IPCC findings and the need to control CO2 emissions if there really is such flimsy evidence to support that view? On occasion, scientific institutes issue position statements intended to communicate a summary of the science from the “inside” to the “outside” of the scientific community. In cases where there is little controversy regarding the subject under study, establishing what the consensus is can be quite straightforward. Scientific consensus may be invoked in popular or political debate on subjects that are controversial within the public sphere but which may not be controversial within the scientific community, such as evolution. I’d quite like to give your peer reviewed paper a read Richard but it’s proving a little tricky to track down. “Energy and environment” wants me to pay for it. I’m sorry, Tim, but I was the one who looked at the IPCC’s own categories on the IPCC’s own site and added up the numbers I gave you concerning the “annex [something]” Countries which the IPCC specifically did not include as having to be restricted by the Kyoto Protocols. They could sign or ratify the Treaty without having to be restricted. SimpleSeekerAfterTruth – you’re wondering about the RS Policy department. Read this. oh, and add Richard Lindzen’s paper on the wholesale backdoor infiltration of science bodies by activists. I think you might be getting a bit confused. I assume you’re referring to Annex I / II which is a classification of countries defined during the United Nations Framework Convention on Climate Change treaty negociations. The IPCC didn’t define which countries were or were not to be included in the Kyoto protocol. …then the gates of Hell crashed open. Fortunately I was on extended sick leave and had time to start digging, and the spiritual resources to cope with a shattering realization and collapse of my previous passionately-held paradigms and drivers of my work. For six weeks I swung wildly back and forth, then finally it was clear beyond a shadow of doubt. I decided the best thing I could do to help people was write up my story, and the science I had taught myself, and come to love, in the process. Click my name. Read my story. Come to love the science like I did. That was a fascinating email exchange between Bob Ward and Martin Durkin, who thoroughly deconstructed Ward’s arguments. All Ward can do is make accusations of ‘misrepresentation.’ And as always, the alarmist is never able to admit it when he’s wrong himself – which he is throughout their email debates, and which remind me of the email exchange between Phil Jones and John Daly. Durkin freely admitted his one [likely but unproven] error regarding volcanoes – and he reminded Ward that it had already been corrected previous to their email exchange, showing that Ward was just nitpicking. Ward’s other complaint of “misrepresentation” concerned Carl Wunsch’s schoolboy complaint that his words didn’t really mean what he had clearly stated. I recall that Wunsch kerfuffle. It was obvious by his subsequent backing and filling that Carl Wunsch had forgotten to toe the AGW party line, and had been quoted saying things that supported the skeptical view of AGW. Carl’s complaint over the verbatim use of his own words was clearly the result of people reprimanding him. Carl didn’t emerge from that particular episode at all well. But better, at least, than Bob Ward does after tangling with Martin Durkin. My thanks to Lucy Skywalker for posting that email exchange, which I had not seen before. Durkin comes across with class, patience, authority, and wide-ranging knowledge of the subject, while Ward repeatedly falls back on name-calling, constantly accusing Durkin of “misrepresentation” out of frustration at being corrected on every point he argues. This is another fine example of why the climate alarmist crowd is better off never debating skeptics. When they do debate, they get slaughtered. ….I think you might be getting a bit confused. I assume you’re referring to Annex I / II which is a classification of countries defined during the United Nations Framework Convention on Climate Change treaty negociations. I didn’t look at wikipedia or unfcc, I looked at the IPCC’s own site about 3-5 years ago where I found the Countries actually listed which were not going to have to adhere to the Kyoto Protocols. It was also the U.S. Senate’s finding in 1997 that certain Countries were not required by the Kyoto Treaty to adhere to its Kyoto Protocols, so that the IPCC’s Climate Science claims could simply not be considered credible. China and India…..,etc., etc., as I’ve already pointed out and could easily add to in respect to the fact the ipcc Climate Science is not real Science and is instead only a massive Propaganda Op.. But you, dear Tim, are at best now merely arguing mightily for what is at best essentially only a “distinction without a difference”, so that you are therefore either intentionally arguing according to a well-known, irrelevant, and boring propaganda tactic; or else you are in an apparently irremediable state of severe denial which I now know I can’t do anything about….snif. It’s like I’ve entered a parallel universe on the one hand ‘Lucy skywalker’ is urging me to read his / her story and come to ‘love the science’ as the ‘gates of hell crash open’ whilst simultaneously being told to ‘snap out of it’ by someone who seems to be irrevocably ignorant of the workings of the IPCC . Lucy, I’ve clicked your name, I’ve read your story and I’m not in the least bit impressed. JPeden, I don’t really know what to say. I’ve tried really hard to understand what you’re trying to say but it makes no sense at all. The IPCC has not, does not, and will not ‘exclude’ any country from any treaty obligations. If you have any evidence to the contrary please post a link, a clue, anything more convincing than a vague reference to IPCC recognition of countries excluded from CO2 targets in the Kyoto protocol to support your accusation. There is a simple answer, Tim: fashionable nonsense. If you knew a bit of science history, you might be aware that august bodies such as the Royal Society have succumbed to fashionable nonsense many times in the past. Nor is the Royal Society averse to dabbling (or more) in the politics of the day. We can go back to the eighteenth century debate over whether pointed or blunt lightning conductors are better, or look to the recent (2008) resignation of the Society’s Director of Education over the statement he made regarding creation science. My guess is that you switched off the science details of what I wrote and you are still falling back on “trust authority” without actually grasping the science issues, or seeing the dirt and dogfighting behind the scenes, in tarring those who disagree. * The inflation of warming due to a whole basketful of factors corrupting the data and insufficiently or improperly accounted-for. *The artificial depression of past CO2 levels due to a whole basketful of factors causing its partial escape from ice cores before measurement. * The city-dwellers’ failure to comprehend the vast mass of the oceans, compared with the tiny mass of the atmosphere, and their capacity, following Henry’s Law, to outgas CO2 far in excess of all our emissions, at the tiniest global temperature increase. * The reluctance to look at what is staring everyone in the face: the Sun: because its measured effects, still very inadequately understood, do not seem to match up to the measured temperature changes. There are many eminent individual scientists who also see AGW as nonsense, like Nobel prizewinner Kary Mulliss who talks about Scientific Method here. It’s much harder in this situation, currently, to stand up in opposition to the majority. It should not be, but debate has been suppressed and people still risk losing their jobs and reputation, like David Bellamy did, if they speak up. It was much easier for me, a retired nobody, to work out the truth about the science without fear of reprisals. But even I lost all my former “green” friends. Truly this situation stinks. But one cannot fight evil with evil, only with truth. Sorry, but the above discussion demonstrates that “truth” rolls off Tim Williams like water from a duck’s back: any argument and/or evidence is ignored by him with the most pathetic excuses. His contributions to this thread have repeatedly demonstrated this. “More recently, in 2007, Kiehle published a paper that assessed 9 GCMs and two energy balance models. Simply, this was the latest in the above series of evasions to my points from Tim Williams, so I decided to ignore anything further from him. In summary, the above contributions from Tim Williams have repeatedly demonstrated that they are intended to obfuscate the issues being discussed here, so I have decided to ignore them . And I suggest that all others also ignore anything further from Tim Williams and, thus, stop pandering to his disruption of sensible discussion. Is this the paper that supposedly blows AGW out of the water? What I’ve learned is this. c)	Models haven’t done a good job at explaining the warming due to the high degree of uncertainty over the role of aerosol forcing….However all models did predict the late 20th century warming as greenhouse gas forcing predominated. d)	As anthropogenic CO2 emissions are predicted to rise, the uncertainty over the role of aerosols may become less important for future model projections. PS. Apologies to Jeffrey T. Kiehl for the error in spelling. Re the recent meeting @ the french academy of sciences, lindzen indeed participated. His name is on the list you kindly included in your post ! He made a presentation on the current status of GCMs, together with the representatives from French Met and ISPL. As to conclusions, we’ll see if proceedings from the event do differ from the conclusions as summarised in the press communique ! It’s like I’ve entered a parallel universe on the one hand…. Admitting your problem is the first step to recovery, but I’m not holding my breath. “So, the models are known to be wrong, and it is known why they are wrong: i.e. There could not be a more clear confirmation of my argument than your complete inability or unwillingness to mention it together with your posting straw men. Re: the validity of the IPCC climate models. Logic provides the framework for resolution of the issue of the validity or invalidity. In the course of the following remarks, I address this issue. A model is a procedure for making inferences. In each instance in which an inference is made, there are many (often an infinite number of) candidates for being made. Which one of these inferences is correct? The model builder must decide! For the deductive branch of logic, the principles of reasoning have been known since Aristotle. The problem of extending logic through the whole of logic is called “the problem of induction” after “induction,” the process by which one generalizes from specific instances. In the construction of a model, the builder of this model uses induction; he/she does not necessarily use inductive logic, however. In 1963, a solution to the problem of induction was found. It could be shown that: a) an inference had the measure which was called its “entropy” and b) this measure was unique. That it was unique had the significance that the problem of induction could be solved by optimization. In particular, that inference was correct whose entropy was maximal or whose conditional entropy was minimal. Thus, the principles of reasoning were to maximize the entropy or minimize the conditional entropy. In the following period of 47 years, few model builders implemented this advance. Most of them continued in the tradition of deciding which inference was the correct one by the use of intuitive rules of thumb called “heuristics.” However, in each instance in which a heuristic identified a particular inference as the correct one, a different heuristic identified a different inference as the correct one. In this way, the method of heuristics violated the law of non-contradiction. Non-contradiction was the cardinal principle of logic. Climatology is one of the many fields of inquiry in which models continue to be built under heuristics rather than under the principles of reasoning. A heuristic in common use is to select the correct inference by expert judgment. This kind of judgment is a role for the IPCC “consensus.” In effect, “warmists” are people who favor identification of the one correct inference by this heuristic. A consequence from use of this heuristic has been for the IPCC climate models to assert possession of information by the model builder which this model builder does not possess. Were a model having this character to be tested, it would be invalidated when it was found that the relative frequencies of outcomes lay closer to the base rates for these outcomes than asserted by the model. The IPCC avoids discovery of this invalidity of its models through its continuing failure to test the models. To jump back to 1980, in that year the first meteorological model to be built under the principles of reasoning was published. It was reported that replacement of heuristics by the principles of reasoning had increased the span of time over which precipitation could be forecasted with statistical significance by a factor of 12 to 36, dependent upon circumstances. Prior to the replacement, the span was less than one month. After replacement, this span was 12 to 36 months. Yes. Please read my comment at October 1, 2010 at 5:35 am for proof of this. To expand the discourse into the realm of professional ethics, for a model builder to assert possession of information which this model builder does not possess is equivalent in effect to fabrication of empirical data. Scientists agree that the penalty for fabrication should be severe. However, for committing acts of equivalent effect the IPCC model builders have received the endorsement of some of the world’s most prestigious learned societies plus the Nobel Prize! Bad luck Daniel. The French academy has reaffirmed the IPCC findings. – Several independent indicators show an increase of warming from 1975 to 2003. – The increase in CO2 and, to a lesser degree, of other greenhouse gases, is unequivocally due to human activity. – It constitutes a threat to the climate and, moreover, to oceans as a result of the acidification process it generates. – This increase drives retroactions of the global climate system, the complexity of which requires the use of models and tests for the purpose of validating them. – The projections of climate change over the 30 to 50-year period are only slightly affected by the uncertainty in the modeling of slow-moving processes. Lots of ‘uncertainty’ however to keep Claude Allegre happy. He was so happy with the conclusions he signed the document.